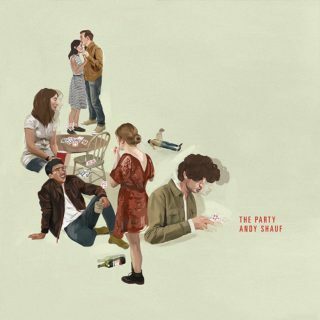 After a few self-released albums, ‘The Party’ is Andy Shauf’s first effort on a Real Label, and he makes the most of it. An elaborate collection of complex ballads, its meticulous string and woodwind arrangements would make Jim O’Rourke jealous. Heavily indebted to the more end-of-the-70s singer-songwriter spectrum, songs like ‘Quite Like You’ are gorgeous, tightly composed things, like a more together take on Epic Soundtracks’ criminally unheralded stint as a piano troubadour. There’s only one thing that lets ‘The Party’ down, though, and it’s a pretty major issue: the double-tracked, marble-mouthed vocals of its Canadian host. It’s a huge disappointment, because Shauf’s mumbled delivery all too often renders his sparkling melodies indistinct from the ornately constructed music behind it. Only on the lovelorn ‘Eyes of Them All’, with its breezy acoustic strum and Zombies-like baroque hook, does Shauf really establish his presence. It’s just a shame that it takes him so long to sound comfortable being at his own party.